James B. Carty, Jr. , M.D. 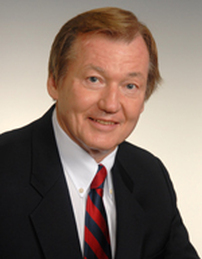 Dr. James B. Carty, Jr. has had a very distinguished career as a specialist in the treatment of cataracts. He is board certified by the American Academy of Ophthalmology and is a Fellow of the American College of Surgeons. 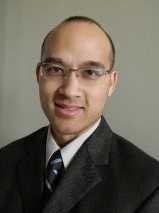 Following his graduation from Jefferson Medical College, he served an internship at Lankenau Hospital and completed his residency at Wills Eye Hospital, Philadelphia where he was Chief Resident. He served a Fellowship in Pediatric Ophthalmology at Wills Eye Hospital,Philadelphia and a Fellowship in Plastic Surgery of the eyelids at the Manhattan Eye and Ear Hospital in New York. Currently, he is on the Cataract and Primary Eye Care Service at Wills Eye Hospital. In 1993, Dr. Carty received an Honor Award from the American Academy of Ophthalmology recognizing his national achievements in Ophthalmology. He was elected to the Scientific Advisory Board of the American Society of Cataract and Refractive Surgery and has performed about 20,000 Ophthalmic surgical procedures in his career. He has lectured on the latest techniques in cataract surgery in London, Paris, Moscow, Copenhagen, Cairo, Singapore, Tel Aviv, Lucerne, Nice, Monte Carlo, Capetown, Acapulco and most major U.S. Cities. Dr. Carty currently enjoys practicing full time between his Bryn Mawr and West Grove locations providing total eye care and surgical eye care to his patients at Carty Eye Associates. Asal H. Sepahi. OD is a graduate of the Pennsylvania College of Optometry. She has been a full time doctor at Carty Eye Associates since 1996. Dr Sepahi fits specialty contact lenses, including corneal refractive therapy lenses. She specializes in pre and post care of Glaucoma, as well as Lasik and Cataract Surgery. Dr Sepahi enjoys working with patients of all ages to help them achieve their best vision and keep their eyes healthy. David D. Densmore, OD has been practicing as an optometrist with Carty Eye Associates since 2000. Dr. Densmore received his degree as a Doctor of Optometry from the Pennsylvania College of Optometry. He specializes in routine eye examinations, contact lens evaluations, and diagnosis and treatment of eye conditions and diseases such as dry eyes and glaucoma as well as many others. He works side by side with Dr. Carty and the other doctors to manage patients of all ages and their total eye care needs. Dawn M.Trybulski, OD has been working as an optometrist with our practice since 2008. She received her degree from the Pennsylvania College of Optometry and has had experience in all aspects of optometric routine and medical eye care. She specializes in the care of patients of all ages for routine eye exams, contact lens evaluations, co-managing glaucoma and cataract patients with Dr. Carty and dry eyes as well as other eye conditions. Hugo M. Linares, D.O., graduated from Rutgers University in New Brunswick, New Jersey with a bachelor of science in biological sciences. He received his medical degree from New York College of Osteopathic Medicine. Dr. Linares completed his internship at the University of Medicine and Dentistry of New Jersey – School of Osteopathic Medicine in Stratford, New Jersey. He performed his residency in ophthalmology at Philadelphia College of Osteopathic Medicine where he was chief resident in his final year. Dr. Linares completed his fellowship training in vitreoretinal surgery at The National Retina Institute in Towson, Maryland. He is a board-certified ophthalmologist and a member of the American Society of Retinal Specialists and the American Academy of Ophthalmology. “My lifelong fascination with the visual process and how it works is what led me to the field of ophthalmology. I decided to focus exclusively on retinal surgery because I've always enjoyed working with my hands, and this ophthalmic specialty requires a great deal of precision and technical skill. I really enjoy my job because I get to work with patients on a daily basis and help them find the most appropriate solutions for their vision needs. In addition, there are always new and exciting advances being made in my field, and I stay on top of them through continuing education and membership in many professional organizations. I am also proud to be a Clinical Associate at the Scheie Eye Institute, where I teach other eye doctors. "I always keep in mind that retinal procedures are new to my patients. So I always take the time to explain everything in a way that they can understand. I will also answer their questions and address any concerns they might have. My patients really appreciate the kindness, empathy and respect I provide."